This product was sent free from Happy Wax for reviewing purposes. 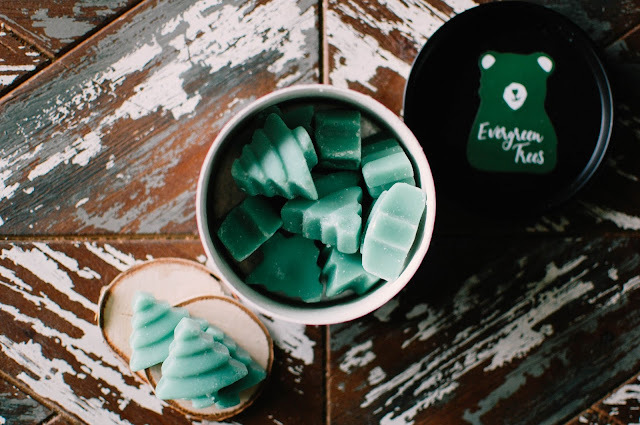 Happy Wax is a new-to-me wax company that is run out of North Carolina and handcrafts soy based wax melts, usually in gummy bear shapes or holiday shapes. I was contacted and offered a free tin. I chose my tin in Evergreen Trees. A tin runs $12.95 and houses 12 tree shapes at about 1/2 an ounce or less each, so about 6 ounces total. (Sorry guys my scale still doesn't work but I did compare it to a standard 1 ounce wax tart and it is easily half that size.) I am not sure how much shipping is in general, but it is free after $20 worth of product, which is fabulous. It arrived in a small square box with no padding or cushion and the lid popped upon during transit, so the trees were all in the box, but do damage was done. Evergreen Trees- Notes: Apple, pine and cedarwood. Two tree tarts threw medium-strong to strong in my bedroom and smelled incredibly lovely. Pine needles, thin green fingers waving their camphorous resin in the winter wind join the velvety cedars of the forest. The apple is very soft and subtle and simply adds a touch of sweetness to the woods. Gorgeous scent and one I would buy again. - A little pricy for wax/ounce but nothing I have not spent before, so wouldn't be a con for me but very well might for others. -Lack of packing material, but I did mention that to them via message and they seemed open to fixing it. - Tin hard to keep closed, something about the air pressure keeps it popping up. 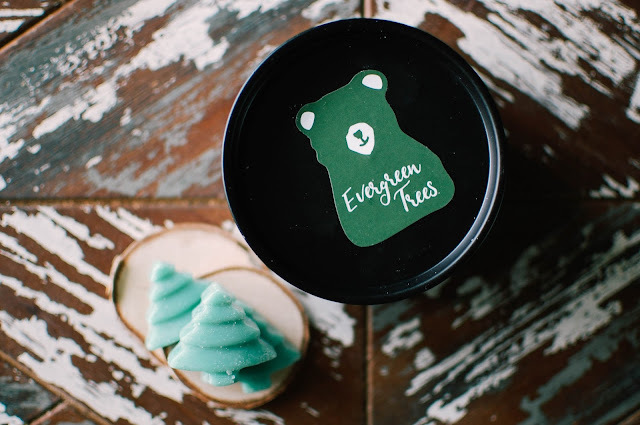 - Cute branding, I love the bear. -Innovative packaging in the tin, I like that it is not just a clamshell or a scent shot. 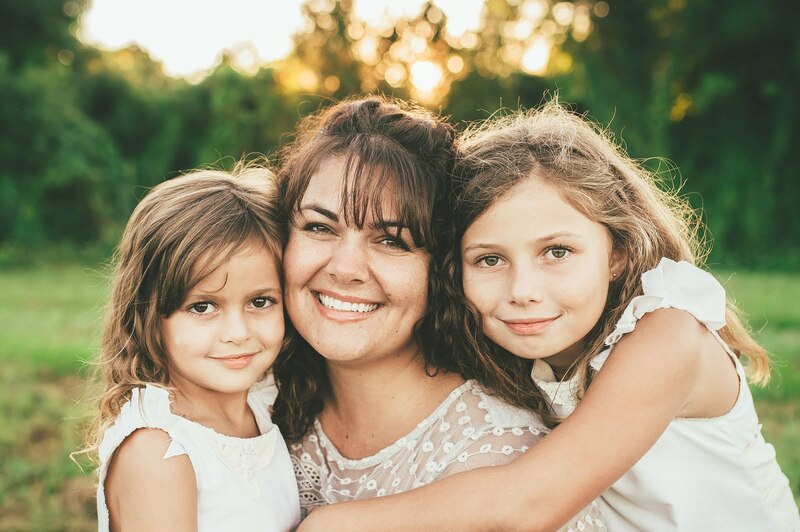 - Free shipping with purchases over $20. - A concise, well curated selection of scents. Lots of fresh and clean, which can be hard to find in vendor wax at times. Overall, I am happy with my first Happy Wax experience and would purchase again, especially if there was a sale or promotion. 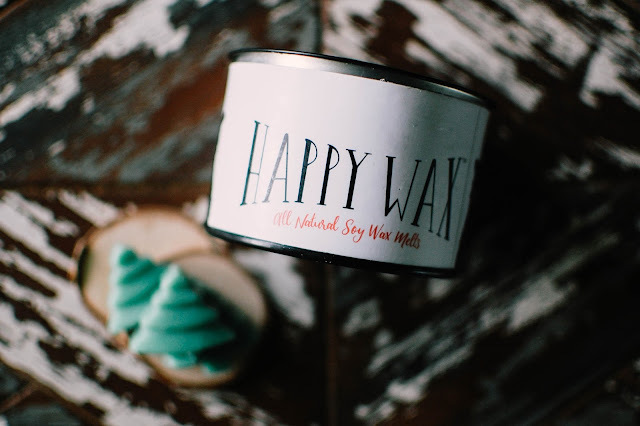 Have you tried or heard of Happy Wax? 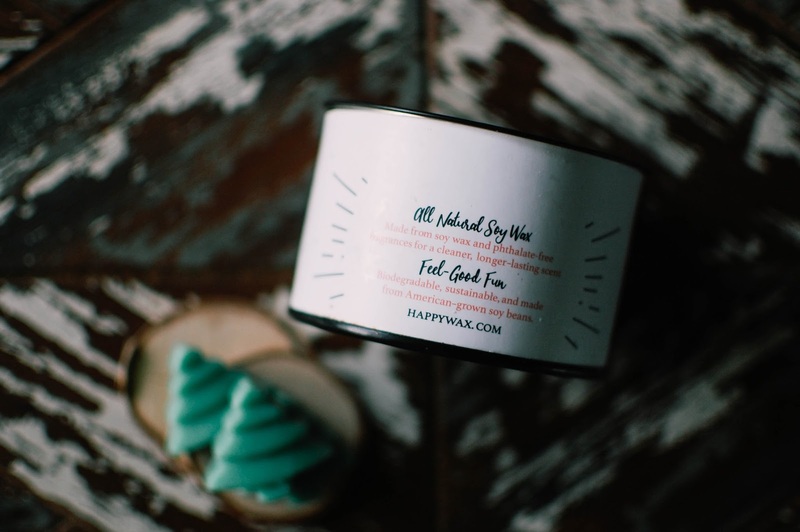 What scent would you try?